Hail to the king, baby. 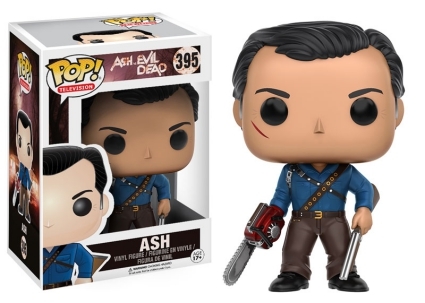 Well, in this instance, hail to the debut release of 2016 Funko Pop Ash vs Evil Dead. Taking place 30 years after the Evil Dead trilogy, anti-hero Ash is back in the comedy horror Ash vs. Evil Dead. Although the films are never mentioned in the Starz series, many are familiar with Bruce Campbell’s portrayal of the Deadite (Zombie) hunter who is now trying to live a normal life as a stock boy. Once again Ash unintentionally releases the Kandarian Demon, better known as the Evil Dead, when he reads the incantation from the Book of the Dead. 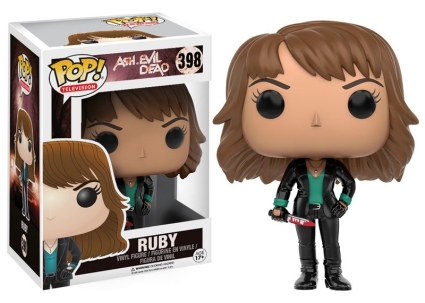 His co-workers Kelly Maxwell and Pablo Simon Bolivar join the fight against the Evil Dead, which now includes Ruby Knowby, portrayed by Lucy Lawless (Xena: Warrior Princess). 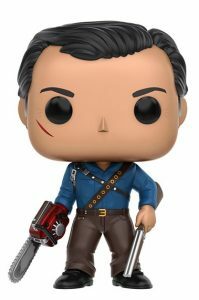 Each of the Funko Pop Ash vs Evil Dead figures stand approximately 3 3/4” tall and, of course, brandish a weapon. Ash, with silver sideburns, is posed with a shotgun in one hand along with his trademark replacement chainsaw hand. 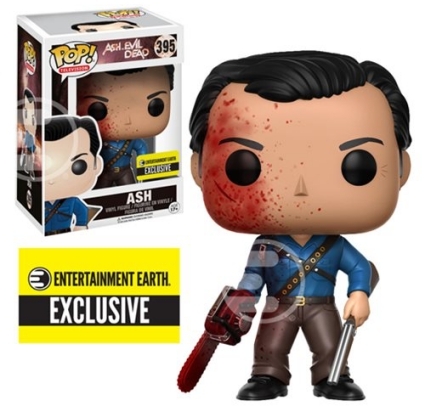 Additionally, a bloody Ash variant is an Entertainment Earth exclusive. 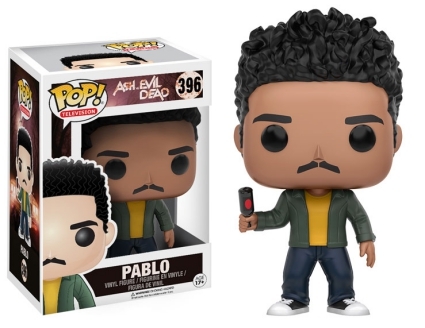 Pablo’s figure has perfectly coiffed hair with matching mustache as he holds an upside-down beer bottle. The reluctant follower, Kelly, wields a bloody ax. Lastly, Ruby is holding a knife seemingly dripping blood. 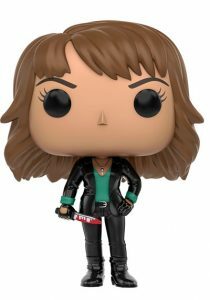 Funko Pop Ash vs Evil Dead vinyl figures are part of the Pop! Television line and the box numbering reflects this. RUBY #398 ASH VS. 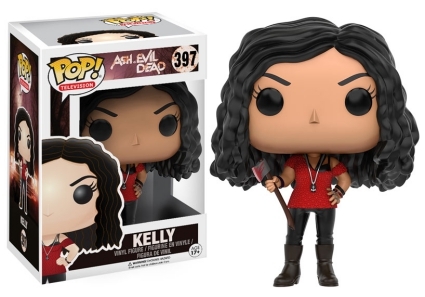 EVIL DEAD Television Funko Pop!